User interfaces are ubiquitous and patent law in this area has evolved significantly over the years and is constantly evolving. Effective protection with an early filing date is essential for your innovative user interface. Our experts within user interface (UI and UX) offer outstanding scientific and legal qualifications backed up by hands-on experience – including prosecuting high-profile patent portfolio for the most successful players in this field. In addition to strong academic backgrounds in software, our attorneys have significant industrial experience and understand the legal, technical and commercial challenges faced by companies in this global sector. Highly qualified scientific thinking and specialised legal expertise help us create strategies that support your commercial objectives. As with all our key industry sectors, aera offers a full range of drafting and prosecution services for patents and registered designs, together with oppositions and appeal procedures. aera has many direct clients. This inevitably means that we manage and coordinate the prosecution of patent applications all over the world – with the support of our large network of overseas attorneys. We also prosecute a large number of cases from foreign associates and help securing and defending Scandinavian and European patent rights for international companies, universities, and even governments. Anders has a MSc. in Engineering with heavy focus on Electronics & Mathematics from the Danish Technical University, where he worked with nonlinear dynamic systems and time series analysis, and entered the patent profession in 2003 in one of Europe’s largest IP-firms. 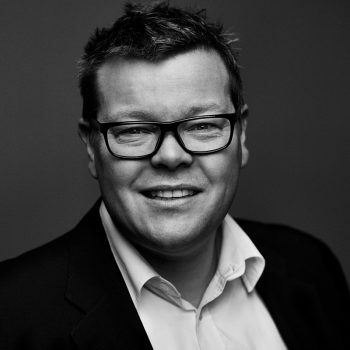 He has from day one been heavily involved with a major hearing aid client, and provided legal advice to protect all four cornerstones of smart hearing technology – audiology, connectivity, apps and design. Anders has a profound understanding of the problematic issue of Computer-implemented inventions (CII) in Europe, and since “software patents” have the highest growth rate among all patent categories presented to the European Patent Office (EPO), his skills are in high demand ranging from the worlds largest software/hardware developer to the smallest start-up company with the vision to change the world. With the explosion of the Internet of things (IoT) Anders has been committed to make an enormous effort in providing “invention harvesting” for clients who traditionally did not use IoT interaction, and filed numerous applications on the network of physical devices, vehicles, home appliances, and other items embedded with electronics, software, sensors, actuators, and network connectivity which enable these objects to connect and exchange data. Anders has extensive experience of prosecuting patent applications before numerous patent offices and frequently represents his clients at hearings before the EPO. His work has been used in successful global patent licensing and litigation discussions, and he also conducts opinion work. Anders has been a CEIPI (Centre d’Études Internationales de la Propriété Intellectuelle) tutor since 2008 and continues to lecture prospective European Patent Attorneys in their preparation for the EQE (European qualifying examination), which tests candidates’ knowledge and aptitude to represent applicants in EPO proceedings and is widely regarded as one of the most demanding professional examinations. 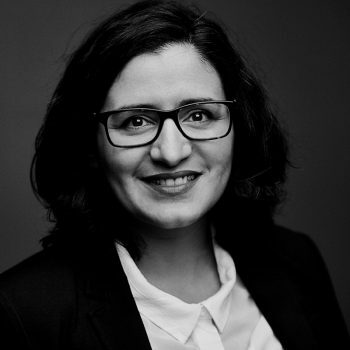 Hanane entered the patent profession in early 2009 with more than 10 years of experience in research and development in Telecommunications, and Cyber security. She has worked both in industry and academia in Europe and in Japan. Hanane applies her prior experience as a scientist to advise clients on all aspects of intellectual property, including patent drafting, prosecution, oppositions, acquisitions and competitive analysis. Hanane collaborates with a variety of clients ranging from multinational clients to small and medium size high tech companies in medical devices, consumer electronics, software, telecommunications, cryptography and, machine learning techniques. Clients appreciate her ability to grasp complex techniques combined with her legal expertise in patent drafting, prosecution and strategy. Her drive towards continuous improvement led to the founding of aera in the beginning of 2018, where Hanane serves clients with wit and passion. 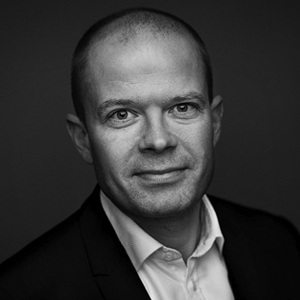 Ingólfur started his career in the patent profession in 2006, when he joined a small family owned patent boutiqe after finishing his Masters degree from Aalborg University in Biomedical Engineering. However, shortly thereafter he joined Coloplast A/S – a large Danish medical device company – as an inhouse patent attorney, where he gained a lot of experience in aligning patents with business strategy. 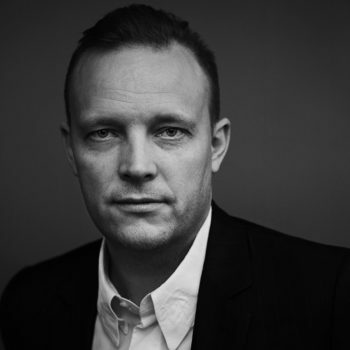 Ingólfur returned to private practice in 2011 at a well established and highly reputable major Danish IP firm, where he was responsible for numerous large clients and became a partner in the firm in 2013. 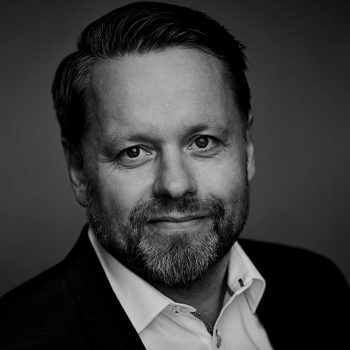 Prior to joining aera, Ingófur also worked at a Tier 1 firm in Sweden, where he served as a key account manager for a number of high profile clients originating from both Sweden and Denmark. Ingólfur has vast experience on representing his clients in opposition proceedings, appeal proceedings, due diligence processes, as well as litigation in various jurisdictions throughout his career. He has extensive knowledge within a wide range of technologies from the simple mechanical inventions to complex cross border inventions that span over several fields of technology, such as software, electronics, sensors and audiology. Jens has an educational background at the Technical University of Denmark (DTU), where he finished his Master of Science in Engineering Physics in 2005 with a special focus on the surface science of catalysts followed by a Ph.D. in 2008 focused on an experimental study of the use of biogas as fuel in fuel cells. Jens has worked within a wide range of technologies from simple mechanical inventions to complex inventions involving several technological fields, such as filter technology, software, electronics and sensor technology. With his scientific background in fuel cells Jens has made a significant IP foot print in cleantech on hydrogen and solid oxide fuel cell technology, as well as material science, surface coating and software inventions. Jens started his career in the patent profession in 2010, when he joined a small family-owned IPR bureau. 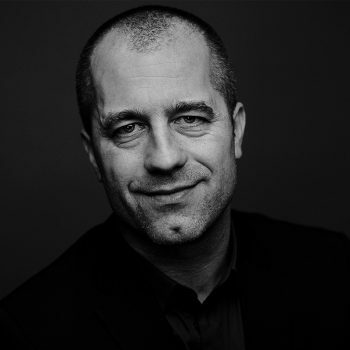 For the past five years, Jens has worked as a patent attorney at a well-established Danish IP firm, where he has been responsible for handling patent-related matter for a large number of clients, including small and medium sized companies and startups. Jens advise clients on all aspects of intellectual property, including patent drafting, opposition proceedings, infringement assessment, strategy, Freedom-to-Operate and patent prosecution, both nationally, regionally and internationally. Nils started out as a trainee in a large Danish IP firm in 1999 after finishing his degree in physics & chemistry and ended up as department manager and partner in 2008 before relocating to Germany for private reasons (yes…love), and joined aera in the spring of 2018. As key account manager on a number of big clients, he has been orchestrating teams of patent attorneys to cover broad technological areas. Nils has assisted several large academic institutions in different countries with evaluating and prioritizing their new ideas as well as their existing portfolios. Nils understands the value of IP as a strategic tool, and clients appreciate his direct and honest approach to when to pursue patenting – and when not to. He has extensive drafting and prosecution experience and has yet to back down from a complicated invention, that being endovascular surgery, quantum computing or time travelling (honestly!). Nicka entered the patent profession in early 2001 after his biotech start-up firm ran out of cash, when joining a large Scandinavian IP firm – who up to that time had handled the IP of his own start-up. In his early career Nicka specialised in advising universities and early stage companies within technology transfers. He has helped several companies through IP due diligence in successful private and public financing rounds and in giving firms advice on license negotiations. Nicka understands the value of IP as a business tool, and clients appreciate his pragmatic commercial approach combined with his experience of patent prosecution and strategy in working with small, medium and large companies and academic institutions, ranging from spin-outs to multinationals. Over the years as team leader and partner, Nicka developed interest in management, and in 2012 moved on to become CEO of one of Europe’s largest IP firms. In 2014, Nicka joined a newly founded patent boutique. The entrepreneurial drive led to the founding of aera in the beginning of 2018, where Nicka will carry forward the desire to serve his clients, who cherish and value his devotion to solve complicated technical and legal issues before the EPO in both prosecution end opposition proceedings. This site is owned by aera a/s, and is for commercial and informational purposes only. The content is not intended as legal advice, and it should not be used as such. aera a/s will at all times do its utmost to keep this site fully updated. However, aera a/s disclaims any direct or indirect damage resulting from entering this site, or using the information contained in the site. Material from this site can only be reproduced, distributed, or otherwise made public with prior permission from aera a/s.